See the stars of the new movie, American Folk, perform at The Hamilton on January 30th! Joe Purdy and Amber Rubarth recorded the majority of the American Folk Motion Picture Soundtrack, and they share the lead roles in the film as well. 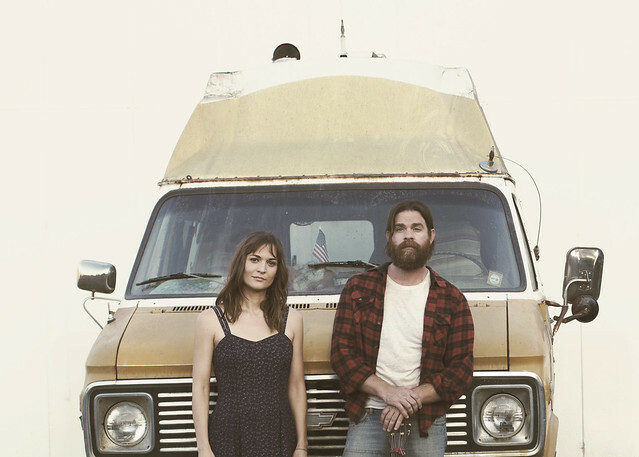 The film is about two folk musicians who meet while stranded in California after 9/11, and decide to take a road trip to New York. Joe Purdy is originally from Arkansas and has been releasing folk music since 2001, including 14 albums. His latest album was recently released, Who Will Be Next? Amber Rubarth is from California, and released her first album, Something New, in 2005. She has not let up on making music since, either as a solo artist or in a band like The Paper Raincoat. She just released a new album, Wildflowers in the Graveyard. Their first single from the soundtrack is “Someone Singing With Me” and the second single, “Townes”, is a plaintive look at the loneliness of travel, until you find someone. 11 of the 19 songs on the American Folk Motion Picture Soundtrack feature them singing together. While six others are one or other solo. The film and the soundtrack will both be released on January 26, 2018, so you can catch up just before they play at The Hamilton on Jan. 30th. Get your tickets to the show here. Tickets are $14.75 (GA), $22.25 (seated), $32.25 (Gold seated). Doors open at The Hamilton at 6:30pm. Show at 7:30pm.